Business gatherings with commercial delegations from Spain and Australia are part of the Casa Rio Business Center programming during the month of May. 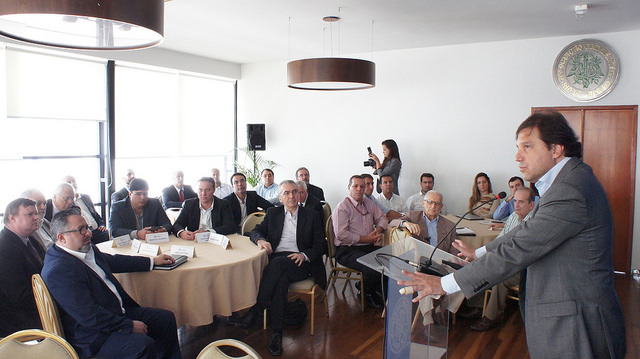 On the agenda, in addition to infrastructure, healthcare and sports will also be discussed at the space, located at the headquarters of the Rio de Janeiro Commercial Association (ACRio). On May 17 and 18, Australia Day will take place, organized in a partnership with ACRio and Austrade, the Australian business development agency. On the first day, there will be discussions regarding partnerships between research institutions from the two countries. Representatives from the Commonwealth Scientific and Industrial Research Organisation (CSIRO) and Vale will discuss on the opening panel the development of the swarm sensing technology, a new way to generate and store energy. In the second panel, the Rio de Janeiro Federal University and Implicit Bioscience will discuss their partnership towards finding innovative solutions in combating the zika virus. On day two, Austrade will present to carioca business people the Australian Sports Technologies Network (ASTN), a network of Australian companies working in the business development of local sporting products and services. For the Brazilian portion, there will be a presentation on the SEBRAE no Pódio program, which allowed innovation in carioca companies with the qualification to be suppliers of the 2016 Rio Games. The panel focused on innovation will feature presentations on recent Olympic medal strategies as they relate to developing information Technologies during the Sidney Games and in German football. On May 19, Spanish companies experienced in major events will host the seminar “Spain: Olympic Inspiration – RIO 2016”. Representatives from areas such as sanitation, construction and sports logistics will showcase solutions developed to respond to the challenges presented by the Barcelona Games. B+ABR BACKHEUSER AND RIERA ARCHITECTURE – Study of Barcelona-based architects in charge of developing the Rio 2016 Olympic Village. AQUALOGY – Solutions and Technologies related to the water sector, optimizing corporate strategy and use of water resources. ROS ROCA ENVIRONMENT – Equipment in the urban cleaning area and solutions for the transportation and treatment of waste. ROYALVERD – INDESCAT (Catalonia Sports Industry Cluster) – Company focused on landscaping and specialized in professional sports.